This is the #1 show I'm looking forward to watching next season. 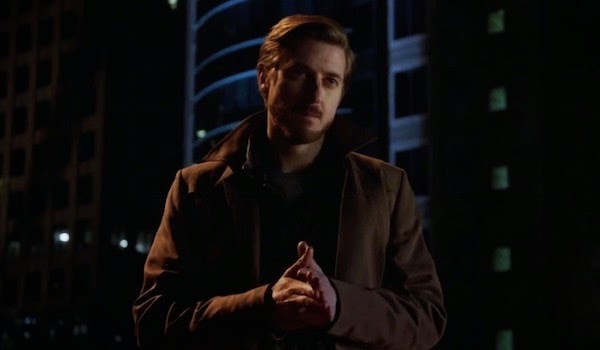 Really excited for Arthur Darvill! Maybe he'll die a hundred times and come back to life. Still waiting for Dinah Lance to say "Hello, Sweetie" to someone. 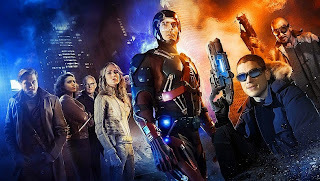 I feel like this show is the D list of DC super heroes. 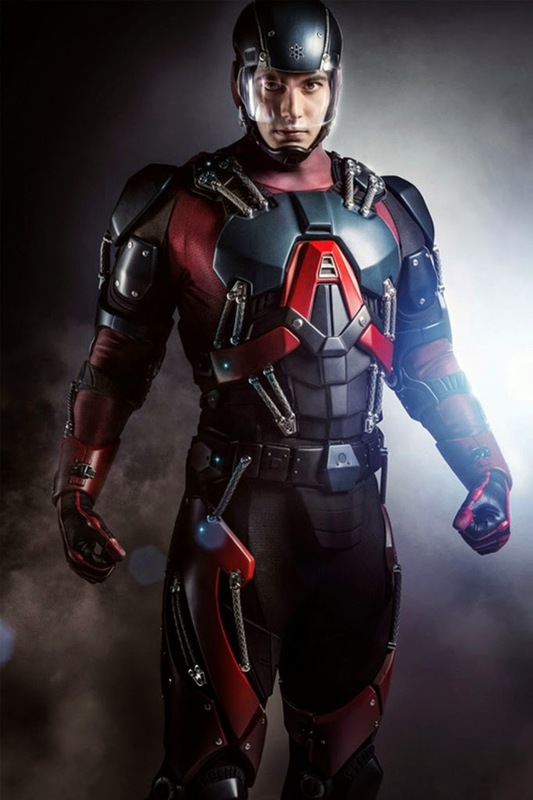 The Atom feels like a pretty blatant copy of Iron Man in the trailer, and while I love Hawkgirl we got almost nothing of her in the trailer except that she's there. I would've replaced one or two of these guys with someone a bit more interesting like Booster Gold or Plastic Man. It may be really fan boy of me, but I would totally love to see the new Supergirl series connect to the Arrowverse. So excited for the season finale of the Flash next week! Both of those would an awesome nod to Doctor Who. So would having Malcolm Merlyn look at someone seductively and say, "Well, hello!" And I loved the episode a few weeks back when Felicity mentioned to her mom that Ray Palmer has seen all 34 seasons of Doctor Who. Methinks the Atom is a Whovian! Booster Gold!? Plastic Man!? Seriously? (Though Booster Gold might kind of fit since they will have Rip Hunter) Granted you haven't seen Ray Palmer in the most recent episode of Arrow, but his personality is much different from that of Tony Stark. Rumor has it that, even though it's on a different network, the creators of the Supergirl series have permission to do crossovers with the Arrowverse. And the season finale of the Flash was this week. I just watched it last night, and it was pretty awesome! I'd love to see Nightwing join the Arrowverse. I get why they couldn't get big names like Batman and Superman on but some of the supporting characters I think could fit into the universe perfectly. Arrow has referenced Bludhaven as a place in the universe, which is a suburb or borough or something of Gotham, and they also showed Harley Quinn in the Suicide Squad facility, so I don't think it would be that much of a stretch to introduce Nightwing, though I've heard rumor of ANOTHER show being made but focusing on the Teen Titans. Well if you want more serious characters then what about Martain Manhunter, Green Lantern, or Zatanna? Green Lantern was mentioned (albeit indirectly) a couple of episodes ago in the Flash. Someone mentioned Ferris Air being closed down because one of their pilots disappeared. And in another episode, Barry ran to Coast City for pizza. And I believe Coast City has been mentioned at least a couple of times on Arrow as well. And finally, at Salt Lake Comic Con last year, when asked what other heroes he'd like to see guest star on Arrow, the first one he mentioned was Green Lantern. So he may be showing up at some point! Yeah, that was my thought too. Every season of Arrow so far has ended with some sense of closure (even though the ending of the first season finale was heart breaking). But this week's episode of Flash leaves you with no idea of how it's going to end (I think I've been vague enough here to avoid giving away any spoilers to anyone who hasn't seen it yet). It's highly probably that John Diggle from Arrow will be Green Lantern. There are major talks of that online. Also, this isn't the D-list of DC comic books. It's the characters the fans love from Arrow and The Flash merged together into one show. Besides Hawkgirl and Rip Hunter, all the characters are already established. It's better to take from the D-list and make them A-list than to take from the A-list and make films like Batman and Robin, The Green Lantern, and Superman Returns. Also, CBS and the CW are connected. So Supergirl connecting to the Arrowverse is possible, but it seems unlikely at least for now. Maybe more mid-season or later. That explains the willingness to allow cross-overs. Normally it seems to be difficult to get that level of cross-network cooperation (though it did happen with Buffy and Angel). I could see Diggle as a Green Lantern. He actually reminds me of John Stewart in a lot of ways. Though I would feel a little cheated at not having Hal Jordan after we were teased by a reference to him in the Flash. I guess we'll see what happens. Really behind on Flash (because of moving). But I know they've teased him as "John Stewart Diggle". Also, there isn't only one Green Lantern. We'll see what they do. 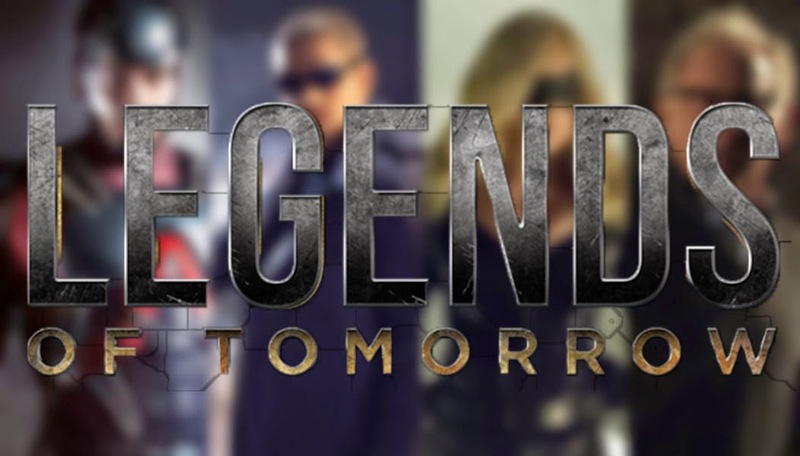 Diggle was teased as a superhero at the end of Arrow. So we'll have to see what they do. I'm not sure how I missed that reference to Diggle's middle name. Though I did catch both Oliver and Felicity telling him that he needs to get a costume or find some way of concealing his identity. And I would be totally down with them bringing in more than one Green Lantern!